This entry was posted in * Level 200 - Regular User, Excel 2007, Excel 2010, Excel 2013. Bookmark the permalink. Um, I thought there was going to be one a day throughout October. What happened to the 3rd through to today? Ahhh yep… that happens when you schedule your posts to be published in October 2010! Hands up who is an idiot – that would be me. I wonder if there’s a way to define keyboard shortcuts to these two buttons. 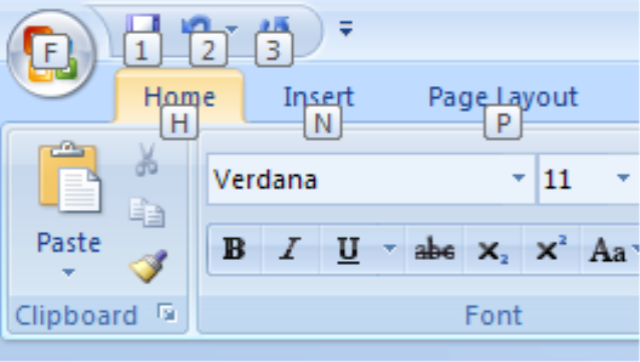 Worked for me in Excel 2003 and I#m missing the feature in 2007. Any ideas? I have a massive spreadsheet that I got from someone else that is doing something that a brand new spreadsheet does not do. If I change the number of decimal points to a lower number, I lose significant digits (i.e. Excel rounds the number to the number of decimal points displayed, losing the rest of the digits in the original number). How do I stop this from happening? I want to keep all the significant digits. Help! This is not a solution. it changes what appears in the cell but does not change the number. e.g. 7.079 will appear as 7.08 but the number is still 7.079 so if you ar using that cell for calculations 7.079 will be used…not 7.08.